Download the entire article in pdf format! Drawing upon one of the least congenial forms of manuscript, the account book, Jay Stiefel's "Cabinetmaking and Commerce" and his associated essay "The Head Account Book as Artifact," bring a piece of early Philadelphia to life, situating a productive, but little known artisan, John Head, within the larger context of early colonial society and economy. 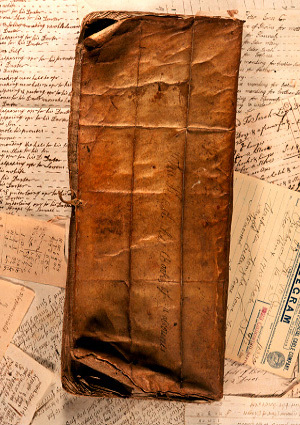 The Head account book is an extraordinary record of the shop production of a single Philadelphia joiner, documenting his entire career from shortly after the time of his emigration in 1717 until the time of his death in 1754. It is, among other things, an outstanding record of the production, barter, and sale of furniture during the early colonial period, of the workings of an important artisan's shop, of patterns of speech and writing, and of the traffic in goods and services that provided cohesion for the community. It is also, as it happens, one of the earliest extant account books for any maker of furniture in British North America. Its handful of peers include the account books of the chairmakers of the Gaines Family of New Hampshire, 1707-1762, and Thomas Pratt of Massachusetts, 1730-1768 (both at Winterthur), the cabinetmakers Joshua Delaplaine of New York, 1720-1778 (New-York Historical Society), Joseph Brown, 1725-1786, and the Lunt Family of Massachusetts, 1736-1772 (Essex Institute), the joiner, Joseph Lindsey of Massachusetts, 1739-1773 (Wintherthur), and Thomas Fitch, the upholsterer, starting in 1719 (Massachusetts Historical Society). Whatever else can be said about it, Head's is a rare and early survival of a craftsman in the middle colonies.